VICTORY REPORT AND THANKS TO ALL! LAST CHANCE TO HELP ANNA PLETCHER WIN THE MARIN DA RACE! VICTORY REPORT AND THANKS TO ALL!!! 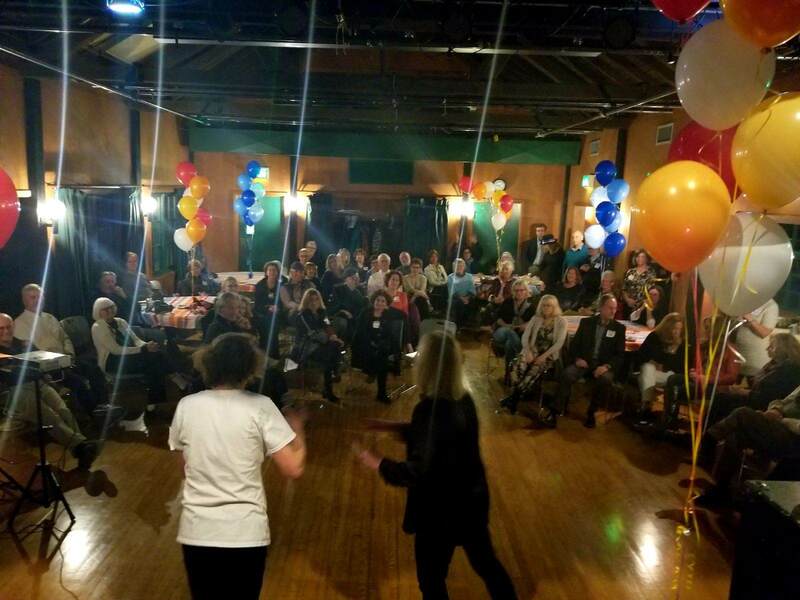 Thank you to all our hard-working volunteers who persisted over the past 2 years to climb out of the Wilderness to take back the House and achieve so many more victories! 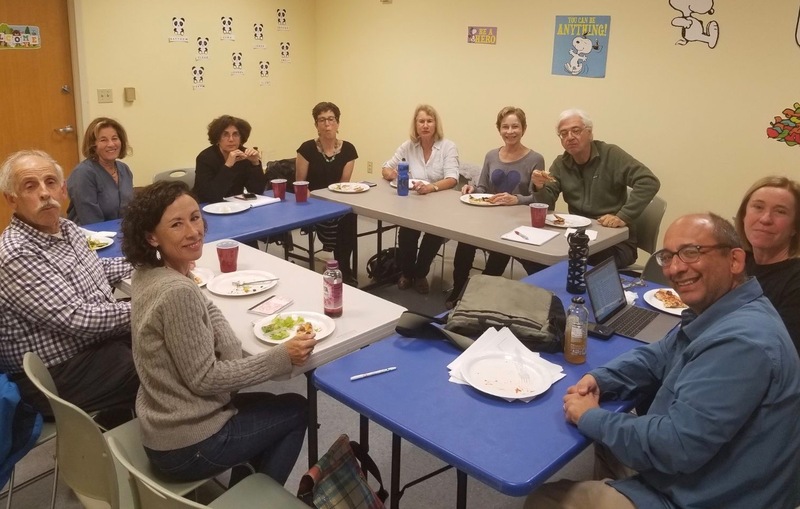 Special thanks to our dedicated Midterm Task Force members, Susan Bolle and her phone bank leads and coaches, AIRLIFT team, and our community partners: Democracy Action Marin, Swing Left Marin, Marin Dems, and many more. 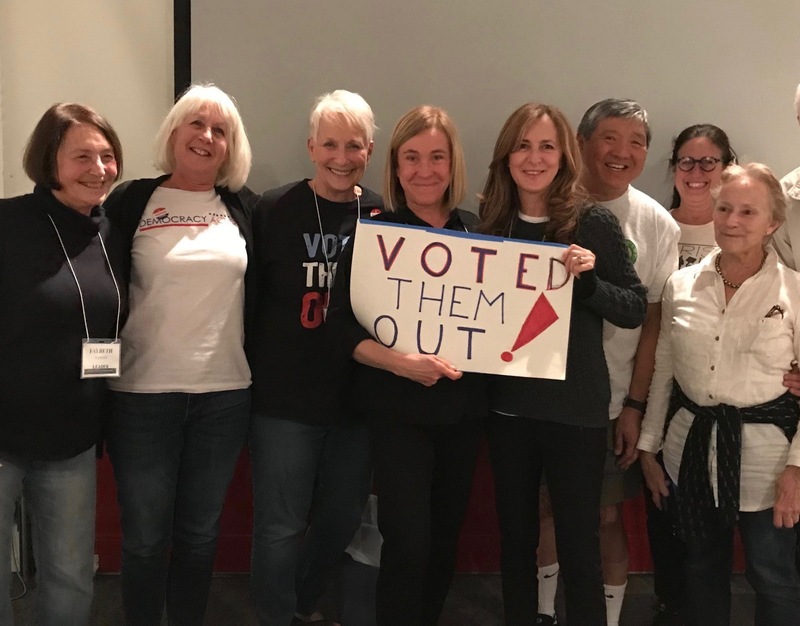 MVCAN volunteers made a huge contribution to the recent successful House and Senate campaigns. Over 300(!) 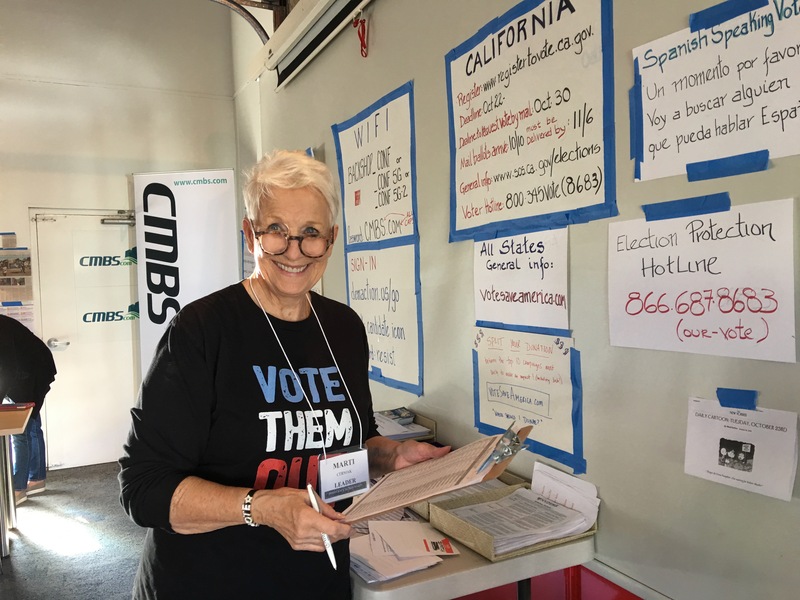 hundred members participated in activities to persuade and mobilize voters over the past year, with a particular focus on the Josh Harder race in CA-10 and the other California House toss-ups, as well as the Senate races in Nevada, Arizona and Texas, plus the Marin District Attorney race. 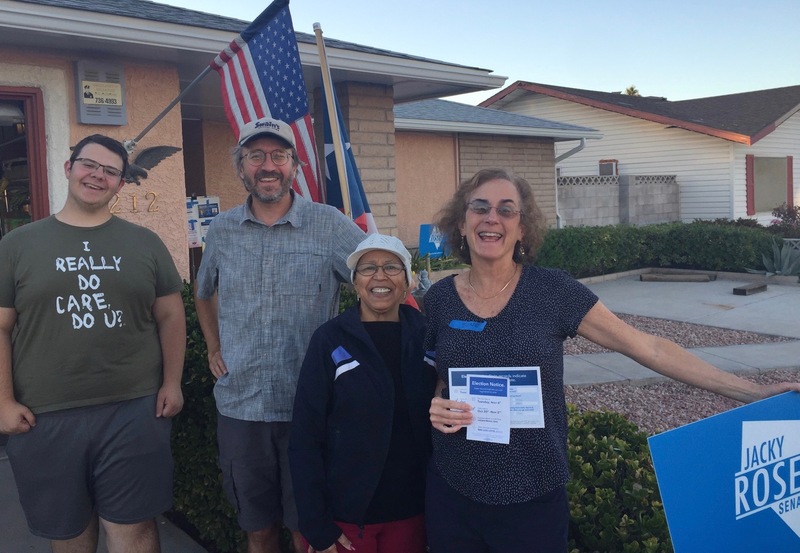 June Cooperman with fellow canvassers in Nevada--we care and we won! Over 200 person days of canvassing for Josh Harder in Tracy, Modesto and other CA-10 towns, including over 6,000 door knocks. Over 100 person days of canvassing in Reno for Jack Rosen for Senate, including 3,000 door knocks. Over 30 person days of canvassing in Las Vegas for Jacky Rosen for Senate, including 1,500 door knocks. And let’s not forget the two volunteers who traveled all the way to Montana to work on the Jon Tester Senate campaign! GO TEAM!! Dem Action Team: Fayebeth Diamond, Ruth Jaeger, Marti Cermak, Susan Bolle, Syliva Russell, Ed Lai, Berta McDonnell, and Margaret Partlow. Don't they look happy! 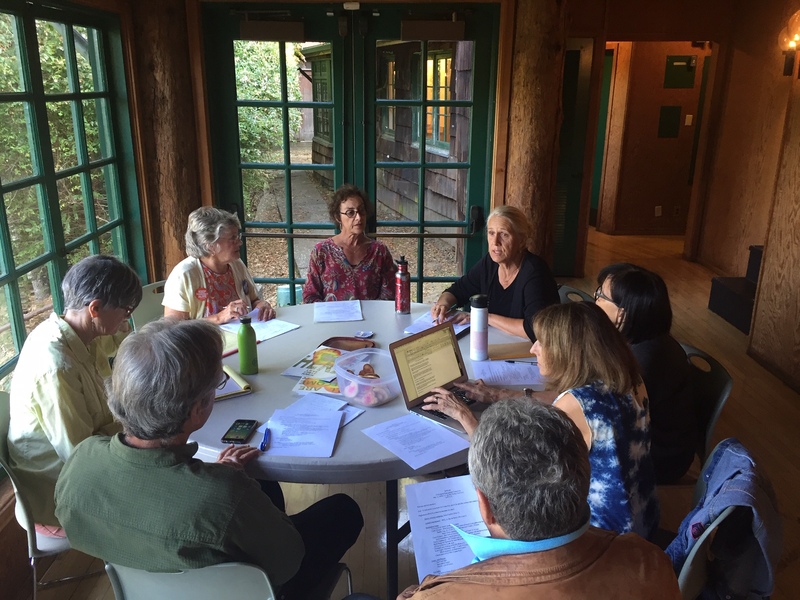 More than 200 phone bank sessions in conjunction with Dem Action Marin. Over a hundred thousand phone calls to voters in these races! Thousands of texts sent to voters in Texas and other states, particularly focusing on Senate races. MVCAN efforts contributed to flipping a House seat in CA-10 (Harder defeated Denham), five other House seats in Southern California, and two Senate seats (Jacky Rosen in Nevada and Kyrsten Sinema in Arizona). In Texas, Beto came close to beating Cruz and carried two flipped House seats on his coattails. Congratulations to all MVCANers who participated in this tremendous midterm elections effort! WIN THE MARIN DA RACE! After all of your hard work, the race for Marin County District Attorney could be decided by just a handful of votes! We can't assume that every vote is automatically counted. 875 ballots have been rejected for missing or mismatched signatures. Every vote matters. The Anna Pletcher campaign is recruiting volunteers to knock on doors and help voters with signature problems get their vote counted. We will only approach Democratic voters who have made ballot errors that disqualifies their vote. They have until Nov. 28th to submit a correction. 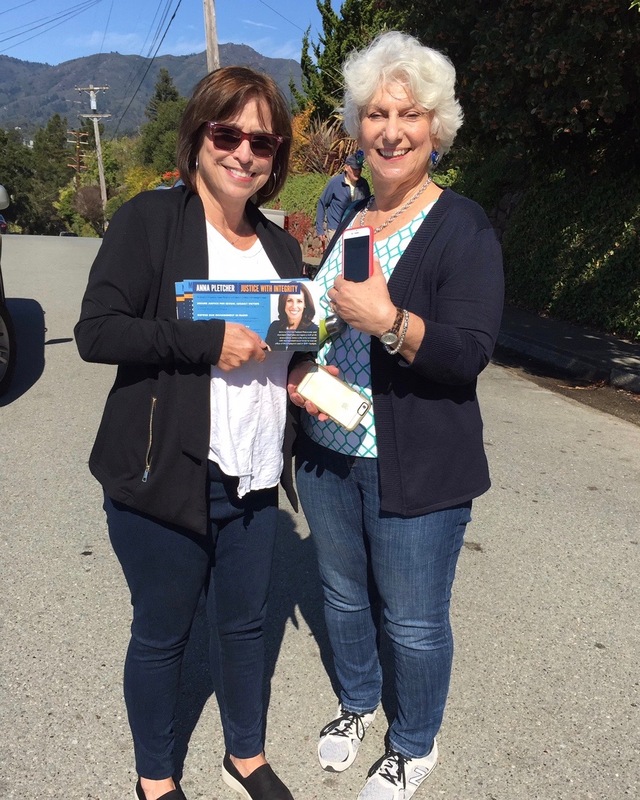 Are you available this weekend for a final day of canvassing to bring the blue wave to Marin? We need your help. Miller Avenue Whole Foods, 414 Miller Ave, Mill Valley. 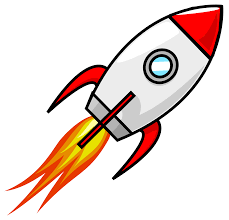 Don’t forget to bring a charged cell phone. Even if you only can devote one hour of canvassing time, it will be worthwhile. Tina Chase and Aviva Boedecker canvassing for Anna. Please join us at our first phone bank since Election Day! We're back to finish the work of the Midterms and elect Democrat Mike Espy to the US Senate in the November 27 runoff election in Mississippi. We can beat the odds again in Mississippi by helping elect the state's first black US Senator since Reconstruction. Please bring your charged cell phone AND a laptop or iPad along with your earbuds with mic. As always, our experienced leaders will coach you from start to finish. 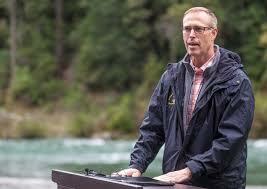 The Environmental Forum of Marin will be presenting Congressman Jared Huffman and award-winning Bay Area authors, Arlie Hochschild and Mark Hertsgaard in a lively discussion on the various beliefs and values regarding environmental causes across the political divide. The Great Divide: Can We Work Together for a Healthy Environment? Also, join in the next meeting for the MVCAN Eco Team. Open to all! The recently passed California Truth Act requires that jurisdictions hold community forums once a year to define the specific rights of immigrants who are held in local jails. The Truth Act also mandates transparency in the interactions between local jails and immigration enforcement. If local law enforcement has given ICE access to any individual in the previous year, a public community forum must be held to consider public comment. Join us for the first Marin Truth Act Community Forum in San Rafael on Dec 6, which will provide information to the public about the ways in which local law enforcement departments have provided ICE with access to immigrants. We will hear from Sheriff Doyle about his policies regarding ICE and the impact on Marin’s immigrant community. This forum is co-sponsored by SURJ Marin. Join us for the next meeting of the MVCAN Immigration/Civil Rights team. The agenda will include discussing the Truth Act Community Forum on Dec 6 (see item above) and planning for MLK Jr. Day 2019 in Marin City. Please let Barbara know if you have other agenda items to add and if you are able to attend - barbrowe@aol.com, 415 686-1549. 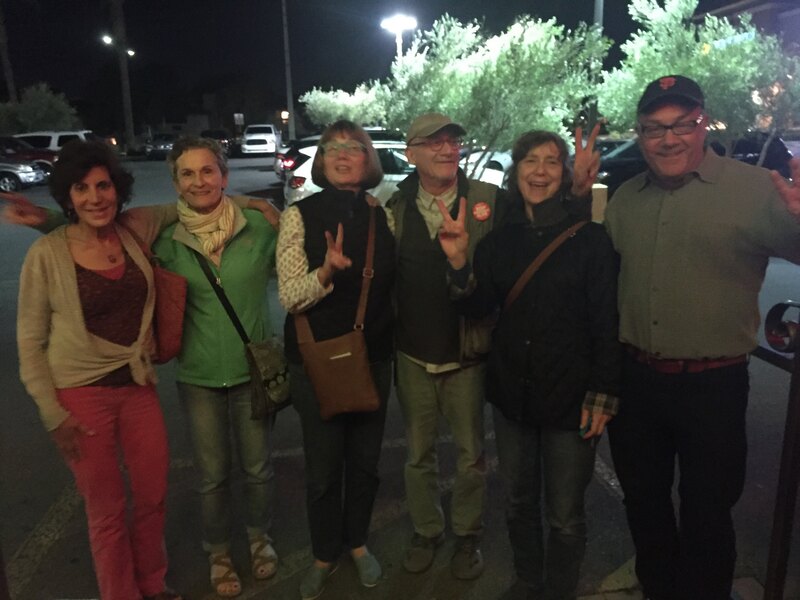 MVCAN members had a fantastic time partying to celebrate our midterm election victories and MVCAN’s second anniversary! It was an opportunity to relax after our super efforts and just celebrate the remarkable things we have accomplished. 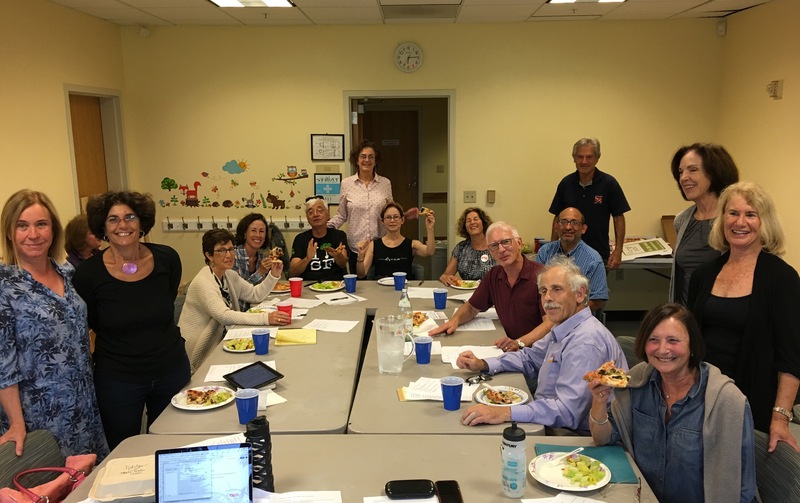 Core team members gave us some highlights of democratic midterm wins and also recognized and thanked many fellow MVCAN members for their contributions. Plus we learned the “victory dance” and just kept dancing. Kudos to Carol Korenbrot and her volunteers and also the Core team for putting together a great party! 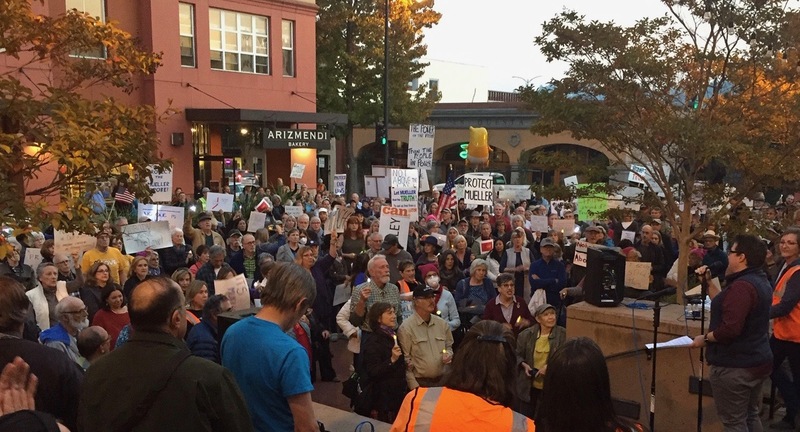 More than 400 local activists rallied last Thursday after Trump fired Jeff Sessions. On 24 hours notice, many MVCAN members and other local grassroots groups mobilized to show our refusal to accept Trump’s outrageous action. Large protest groups all over the nation took to the streets and made national headlines. We can also call upon our elected officials to enact policies that will make it easier and less expensive in the long run for us to reduce our energy use, rely on clean energy sources and produce fewer global warming emissions. And, finally, “we the people” need to demand more and better from our media. It’s time to downplay the gross antics of Trump and his allies, and make environmental news front and center. 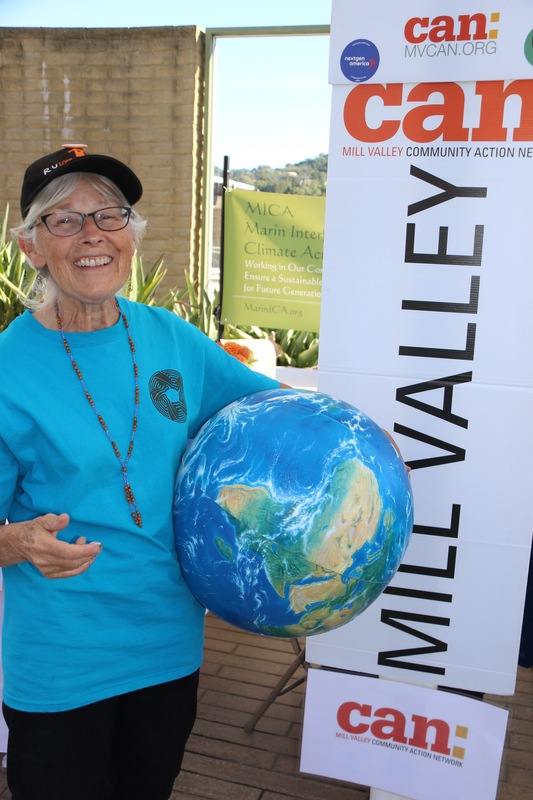 It’s time our local and national media covered this topic more fully, reporting not just the bad news, but the good — the heroic grassroots actions now taking place in Marin and across the nation to convert our economy from carbon-based to renewable. See the Marin IJ 10/26/2018 for Dolores Heeb’s letter. MORE PHOTOS OF MVCAN IN ACTION! Grace Severtson, at the Getting to Paris Without Stopping Event. Marti Cermak--Happy you're here to phone bank!